Got to love that Jensie! Jens Voigt is back to racing this week at the Tour Down Under and once again making us all proud by earning the most aggressive (called the Most Competitive) jersey after Stage 3. I'd say Jens is sending a loud and clear signal that this, his last, year of bike racing will certainly not be a glory tour; Jens intends to race to the end. I agree no rider is a bigger crowd favorite, no rider is so recognizable no matter what country he steps foot inside, and no rider has become such a legend among the old and young. He is endearing, enduring and deserving. And he is ours. I find comfort in watching Jens race his last year, because I believe he will always be involved in the world of cycling. 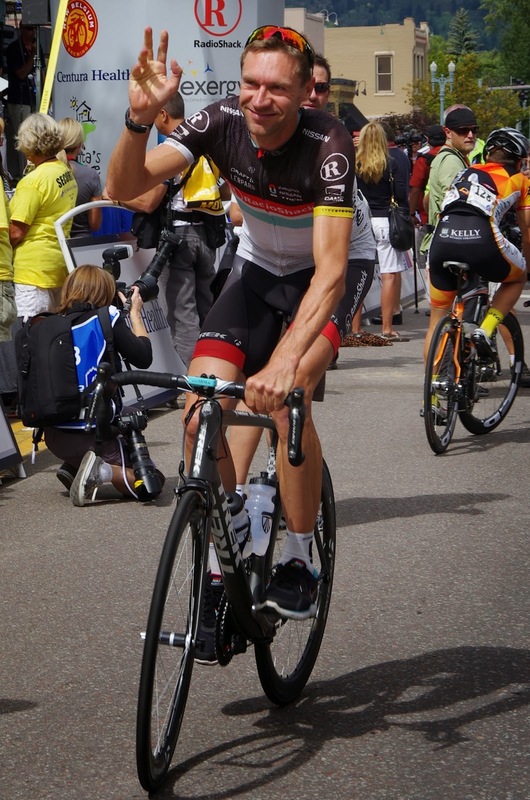 This is not goodbye for Jens Voigt. 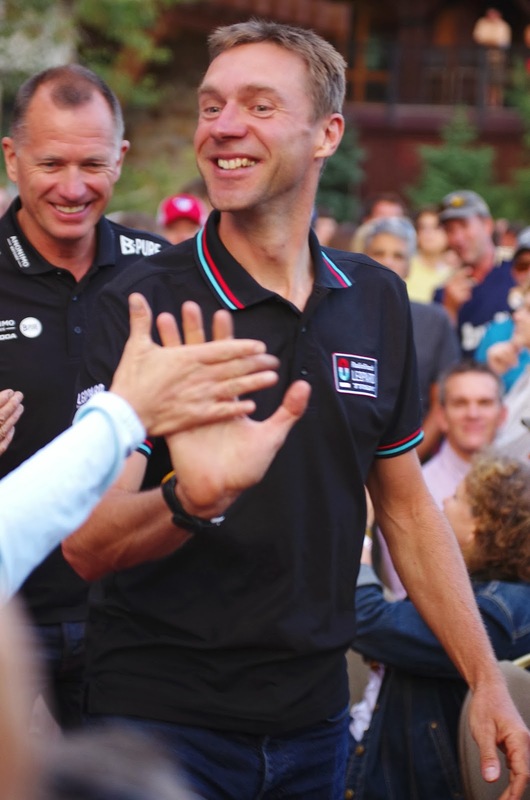 Jens Voigt, well-known for his grit and wisdom, continues to delight. Cameron Wurf, a Tasmanian former Olympic rower on the Cannondale team, has been blogging from the race, his writings include side stories about his chats and time spent with The Jens. "My conversations with jensie are becoming a highlight of my day in the bunch. Each day there is somthing different for us to have a yarn about and today was no different." "A few minutes later I saw a black flash rip passed in my peripheral vision which could only mean one thing, jensie was on the attack. He went so hard that he was half a km up the road before anyone could think about following let alone chasing him. What a LEGEND!" "Anyways back to fun with jensie. Later in the day I waited until we had a good little audience around of people I felt we could have a little fun with. My cannondale boys were there of course, the lotto boys, the sky boys and a few of jensie's team mates. At this point I said "hey jensie, why does your jersey look like a T shirt? Which got a good laugh out of all the boys as I had hoped. 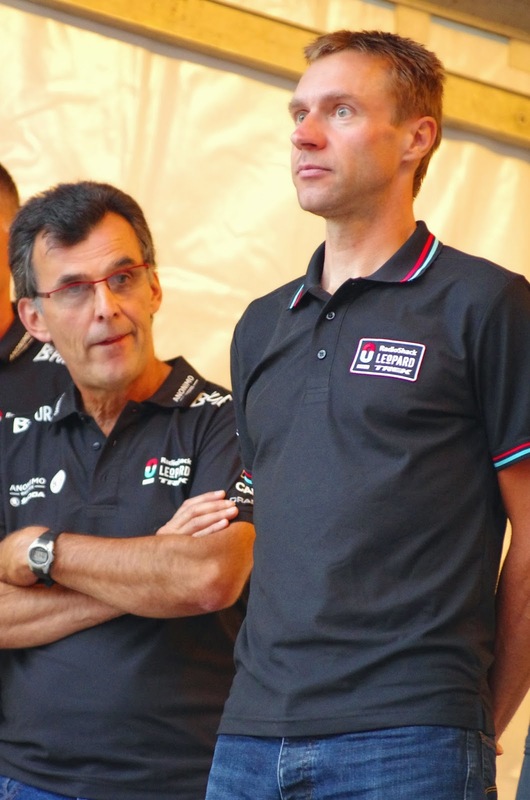 Then as things calmed down a bit Bernie Eisel, another absolute legend and gentleman of the bunch said "jensie ordered them a few sizes to big as he is planning for his retirement! Knows its his last year of getting free cycling kit!" That response had us in stitches, nice to have a bit of fun in the bunch, it is the first race of a long season afterall and we have to ensure we enjoy as much jensie moments as possible!" Cameron's blog is a good read for the inside scoop of what it is like for a racer at the Tour Down Under. There are just 2 more stages remaining in the Santos Tour Down Under after today's stage, and Cadel Evans is in the lead in General Classification, his team BMC leads the Team Classification. Adam Hansen leads the Mountain Classification, and Simon Gerrans leads Sprinter Classification. 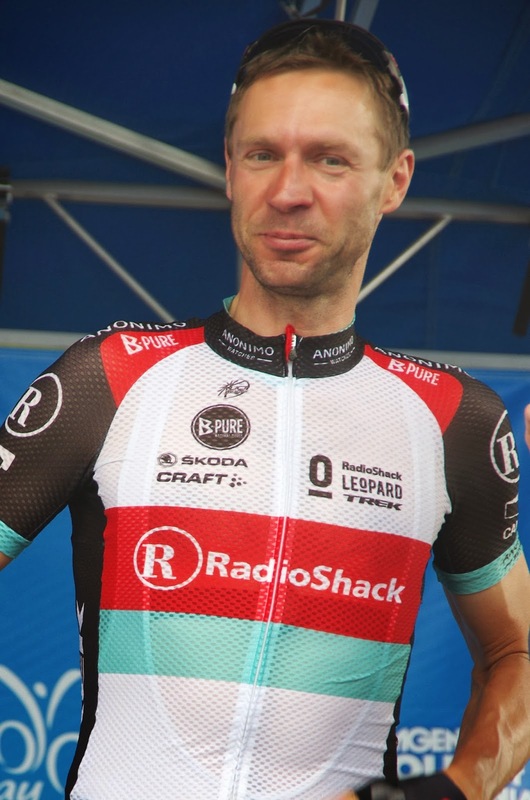 But on January 23rd Jens Voigt was again known as the most aggressive rider! 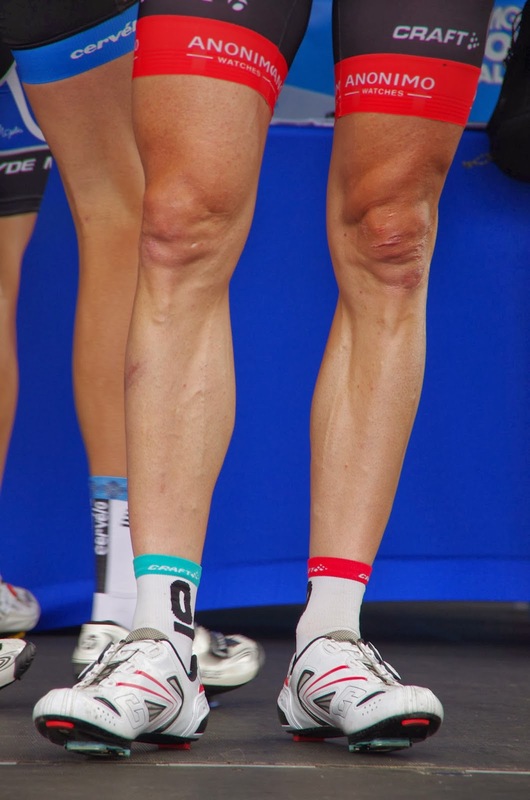 Jens Voigt and his legs that will shut up. Can you imagine if you saw this guy riding toward you? - you'd smile too! 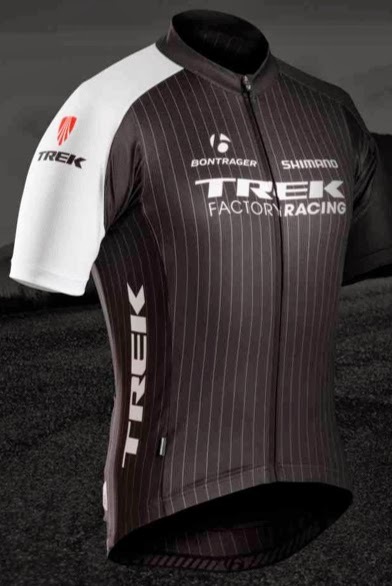 Of course Jens is now wearing this jersey of the Trek Factory Racing team, read more about the TREK jersey design and make.